Falsifiability or refutability of an assertion, hypothesis or theory is the logical possibility that it can be contradicted by an observation or the outcome of a physical experiment. That something is "falsifiable" does not mean it is false; rather, that if it is false, then some observation or experiment will produce a reproducible result that is in conflict with it. For example, the assertion that "all swans are white" is falsifiable, because it is logically possible that a swan can be found that is not white. Not all statements that are falsifiable in principle are falsifiable in practice. For example, "it will be raining here in one million years" is theoretically falsifiable, but not practically so. The concept was made popular by Karl Popper, who, in his philosophicalcriticism of the popular positivist view of the scientific method, concluded that ahypothesis, proposition, or theory talks about the observable only if it is falsifiable. The classical view of the philosophy of science is that it is the goal of science to prove hypotheses like "All swans are white" or toinduce them from observational data. Popper argued that this would require the inference of a general rule from a number of individual cases, which is inadmissible in deductive logic. 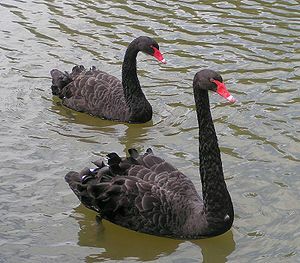 However, if one finds one single black swan, deductive logic admits the conclusion that the statement that all swans are white is false. Falsificationism thus strives for questioning, for falsification, of hypotheses instead of proving them. For a statement to be questioned using observation, it needs to be at least theoretically possible that it can come in conflict with observation. A key observation of falsificiationism is thus that a criterion of demarcation is needed to distinguish those statements that can come in conflict with observation and those that cannot (Chorlton, 2012). Popper chose falsifiability as the name of this criterion. For example, the statement "All swans are white" is falsifiable, because it can come in conflict with the observation "this swan is black". In contrast, the statement "White swans do exist" is not falsifiable, since no counter-example is logically possible. Falsifiability exploits this asymmetry of deductive logic with respect to universal and existential statements to attempt to solve the problem of demarcation. Popper stressed that unfalsifiable statements are important in science. Contrary to intuition, unfalsifiable statements can be embedded in - and deductively entailed by - falsifiable theories. For example, while "all men are mortal" is unfalsifiable, it is a logical consequence of the falsifiable theory that "every man dies before he reaches the age of 150 years". Similarly, the ancient metaphysical and unfalsifiable idea of the existence of atoms has led to corresponding falsifiable modern theories. Popper invented the notion of metaphysical research programs to name such unfalsifiable ideas. In contrast to Positivism, which held that statements are meaningless if they cannot be verified or falsified, Popper claimed that falsifiability is merely a special case of the more general notion of criticizability, even though he admitted that empirical refutation is one of the most effective methods by which theories can be criticized. Criticizability, in contrast to falsifiability, and thus rationality, may be comprehensive (i.e., have no logical limits), though this claim is controversial even among proponents of Popper's philosophy and critical rationalism. Falsifiability is an important concept within the creation–evolution controversy, where proponents of both sides claim that Popper developed falsifiability to denote ideas as unscientific or pseudoscientific and use it to make arguments against the views of the respective other side. The question of what can and cannot be legitimately called science is of major importance in this debate because the First Amendment to the United States Constitution prohibits teaching of religion in public schools. Falsifiability has even been used in court decisions in this context as a key deciding factor to distinguish genuine science from the religious. This section does not cite anyreferences or sources. In work beginning in the 1930s, Popper gave falsifiability a renewed emphasis as a criterion of empirical statements in science. Popper noticed that two types of statements are of particular value to scientists. The first are statements of observations, such as "there is a white swan." Logicians call these statements singular existential statements, since they assert the existence of some particular thing. They are equivalent to a predicate calculus statement of the form:There exists an x such that x is a swan, and x is white. The second are statements that categorize all instances of something, such as "all swans are white". Logicians call these statementsuniversal. They are usually parsed in the form: For all x, if x is a swan, then x is white. Scientific laws are commonly supposed to be of this type. One difficult question in the methodology of science is: How does one move from observations to laws? How can one validly infer a universal statement from any number of existential statements? Inductivist methodology supposed that one can somehow move from a series of singular existential statements to a universal statement. That is, that one can move from 'this is a white swan', 'that is a white swan', and so on, to a universal statement such as 'all swans are white'. This method is clearly deductively invalid, since it is always possible that there may be a non-white swan that has eluded observation (and, in fact, the discovery of the Australian black swan demonstrated the deductive invalidity of this particular statement). Popper held that science could not be grounded on such an invalid inference. He proposed falsification as a solution to the problem of induction. Popper noticed that although a singular existential statement such as 'there is a white swan' cannot be used to affirm a universal statement, it can be used to show that one is false: the singular existential observation of a black swan serves to show that the universal statement 'all swans are white' is false—in logic this is called modus tollens. 'There is a black swan' implies 'there is a non-white swan,' which, in turn, implies 'there is something that is a swan and that is not white', hence 'all swans are white' is false, because that is the same as 'there is nothing that is a swan and that is not white'. At least one swan is white. It is impractical to observe all the swans in the world to verify that they are all white. Even so, the statement all swans are white is testable by being falsifiable. For, if in testing many swans, the researcher finds a singleblack swan, then the statement all swans are white would be falsified by the counterexample of the single black swan. Although the logic of naïve falsification is valid, it is rather limited. Nearly any statement can be made to fit the data, so long as one makes the requisite 'compensatory adjustments'. Popper drew attention to these limitations in The Logic of Scientific Discovery in response to criticism from Pierre Duhem. W. V. Quine expounded this argument in detail, calling it confirmation holism. To logically falsify a universal, one must find a true falsifying singular statement. But Popper pointed out that it is always possible to change the universal statement or the existential statement so that falsification does not occur. On hearing that a black swan has been observed in Australia, one might introduce the ad hoc hypothesis, 'all swans are white except those found in Australia'; or one might adopt another, more cynical view about some observers, 'Australian bird watchers are incompetent'. Thus, naïve falsification ought to, but does not, supply a way of handling competing hypotheses for many subject controversies (for instance conspiracy theories and urban legends). People arguing that there is no support for such an observation may argue that there is nothing to see, that all is normal, or that the differences or appearances are too small to be statistically significant. On the other side are those who concede that an observation has occurred and that a universal statement has been falsified as a consequence. Therefore, naïve falsification does not enable scientists, who rely on objective criteria, to present a definitive falsification of universal statements. Naïve falsificationism is an unsuccessful attempt to prescribe a rationally unavoidable method for science. Sophisticated methodological falsification, on the other hand, is a prescription of a way in which scientists ought to behave as a matter of choice. The object of this is to arrive at an evolutionary process whereby theories become less bad. Naïve falsification considers scientific statements individually. Scientific theories are formed from groups of these sorts of statements, and it is these groups that must be accepted or rejected by scientists. Scientific theories can always be defended by the addition of ad hoc hypotheses. As Popper put it, a decision is required on the part of the scientist to accept or reject the statements that go to make up a theory or that might falsify it. At some point, the weight of the ad hoc hypotheses and disregarded falsifying observations will become so great that it becomes unreasonable to support the base theory any longer, and a decision will be made to reject it. In place of naïve falsification, Popper envisioned science as evolving by the successive rejection of falsified theories, rather than falsified statements. Falsified theories are to be replaced by theories that can account for the phenomena that falsified the prior theory, that is, with greater explanatory power. For example, Aristotelian mechanics explained observations of everyday situations, but were falsified byGalileo's experiments, and were replaced by Newtonian mechanics, which accounted for the phenomena noted by Galileo (and others).Newtonian mechanics' reach included the observed motion of the planets and the mechanics of gases. The Youngian wave theory of light (i.e., waves carried by the luminiferous aether) replaced Newton's (and many of the Classical Greeks') particles of light but in turn was falsified by the Michelson-Morley experiment and was superseded by Maxwell's electrodynamics and Einstein's special relativity, which did account for the newly observed phenomena. Furthermore, Newtonian mechanics applied to the atomic scale was replaced with quantum mechanics, when the old theory could not provide an answer to the ultraviolet catastrophe, the Gibbs paradox, or howelectron orbits could exist without the particles radiating away their energy and spiraling towards the centre. Thus the new theory had to posit the existence of unintuitive concepts such as energy levels, quanta and Heisenberg's uncertainty principle. At each stage, experimental observation made a theory untenable (i.e., falsified it) and a new theory was found that had greaterexplanatory power (i.e., could account for the previously unexplained phenomena), and as a result, provided greater opportunity for its own falsification. Popper uses falsification as a criterion of demarcation to draw a sharp line between those theories that are scientific and those that are unscientific. It is useful to know if a statement or theory is falsifiable, if for no other reason than that it provides us with an understanding of the ways in which one might assess the theory. One might at the least be saved from attempting to falsify a non-falsifiable theory, or come to see an unfalsifiable theory as unsupportable. Popper claimed that, if a theory is falsifiable, then it is scientific. The Popperian criterion excludes from the domain of science not unfalsifiable statements but only whole theories that contain nofalsifiable statements; thus it leaves us with the Duhemian problem of what constitutes a 'whole theory' as well as the problem of what makes a statement 'meaningful'. Popper's own falsificationism, thus, is not only an alternative to verificationism, it is also an acknowledgement of the conceptual distinction that previous theories had ignored. In the philosophy of science, verificationism (also known as the verifiability theory of meaning) holds that a statement must, in principle, be empirically verifiable for it to be both meaningful and scientific. This was an essential feature of the logical positivism of the so-calledVienna Circle that included such philosophers as Moritz Schlick, Rudolf Carnap, Otto Neurath, the Berlin philosopher Hans Reichenbach, and the logical empiricism of A.J. Ayer. Popper noticed that the philosophers of the Vienna Circle had mixed two different problems, that of meaning and that of demarcation, and had proposed in verificationism a single solution to both. In opposition to this view, Popper emphasized that there are meaningful theories that are not scientific, and that, accordingly, a criterion of meaningfulness does not coincide with a criterion of demarcation. Thus, Popper urged that verifiability be replaced with falsifiability as the criterion of demarcation. On the other hand, he strictly opposed the view that non-falsifiable statements are meaningless or otherwise inherently bad, and noted that falsificationism does not imply it. Falsifiability was one of the criteria used by Judge William Overton in the McLean v. Arkansas ruling to determine that 'creation science' was not scientific and should not be taught in Arkansas public schools as such (it can be taught as religion). In his conclusion related to this criterion he stated that "While anybody is free to approach a scientific inquiry in any fashion they choose, they cannot properly describe the methodology as scientific, if they start with the conclusion and refuse to change it regardless of the evidence developed during the course of the investigation." It was also enshrined in United States law as part of the Daubert Standard set by the Supreme Court for whether scientific evidence is admissible in a jury trial. Sir Karl Popper is not really a participant in the contemporary professional philosophical dialogue; quite the contrary, he has ruined that dialogue. If he is on the right track, then the majority of professional philosophers the world over have wasted or are wasting their intellectual careers. The gulf between Popper's way of doing philosophy and that of the bulk of contemporary professional philosophers is as great as that between astronomy and astrology. Popper's ideas have failed to convince the majority of professional philosophers because his theory of conjectural knowledge does not even pretend to provide positively justified foundations of belief. Nobody else does better, but they keep trying, like chemists still in search of the Philosopher's Stone or physicists trying to build perpetual motion machines. What distinguishes science from all other human endeavours is that the accounts of the world that our best, mature sciences deliver are strongly supported by evidence and this evidence gives us the strongest reason to believe them.' That anyway is what is said at the beginning of the advertisement for a recent conference on induction at a celebrated seat of learning in the UK. It shows how much critical rationalists still have to do to make known the message of Logik der Forschung concerning what empirical evidence is able to do and what it does. Whereas Popper was concerned in the main with the logic of science, Thomas Kuhn's influential book The Structure of Scientific Revolutions examined in detail the history of science. Kuhn argued that scientists work within a conceptual paradigm that strongly influences the way in which they see data. Scientists will go to great length to defend their paradigm against falsification, by the addition of ad hoc hypotheses to existing theories. Changing a 'paradigm' is difficult, as it requires an individual scientist to break with his or her peers and defend a heterodox theory. Some falsificationists saw Kuhn's work as a vindication, since it provided historical evidence that science progressed by rejecting inadequate theories, and that it is the decision, on the part of the scientist, to accept or reject a theory that is the crucial element of falsificationism. Foremost amongst these was Imre Lakatos. Lakatos attempted to explain Kuhn's work by arguing that science progresses by the falsification of research programs rather than the more specific universal statements of naïve falsification. In Lakatos' approach, a scientist works within a research program that corresponds roughly with Kuhn's 'paradigm'. Whereas Popper rejected the use of ad hoc hypotheses as unscientific, Lakatos accepted their place in the development of new theories. Paul Feyerabend examined the history of science with a more critical eye, and ultimately rejected any prescriptive methodology at all. He rejected Lakatos' argument for ad hoc hypothesis, arguing that science would not have progressed without making use of any and all available methods to support new theories. He rejected any reliance on a scientific method, along with any special authority for science that might derive from such a method. Rather, he claimed that if one is keen to have a universally valid methodological rule,epistemological anarchism or anything goes would be the only candidate. For Feyerabend, any special status that science might have derives from the social and physical value of the results of science rather than its method. In their book Fashionable Nonsense (published in the UK as Intellectual Impostures) the physicists Alan Sokal and Jean Bricmontcriticized falsifiability on the grounds that it does not accurately describe the way science really works. They argue that theories are used because of their successes, not because of the failures of other theories. Their discussion of Popper, falsifiability and the philosophy of science comes in a chapter entitled "Intermezzo," which contains an attempt to make clear their own views of what constitutes truth, in contrast with the extreme epistemological relativism of postmodernism. They further argue that falsifiability cannot distinguish between astrology and astronomy, as both make technical predictions that are sometimes incorrect. David Miller, a contemporary philosopher of critical rationalism, has attempted to defend Popper against these claims. Miller argues that astrology does not lay itself open to falsification, while astronomy does, and this is the litmus test for science. Claims about verifiability and falsifiability have been used to criticize various controversial views. Examining these examples shows the usefulness of falsifiability by showing us where to look when attempting to criticise a theory. Aspects of economics have been accused of not being falsifiable, mainly by sociologists and other social scientists in general. The most common argument is made against rational expectations theories, which work under the assumption that people act to maximize their utility. However, under this viewpoint, it is impossible to disprove the fundamental theory that people are utility-maximizers. The political scientist Graham T. Allison, in his book Essence of Decision, attempted to both quash this theory and substitute other possible models of behavior. Karl Popper argued that Marxism shifted from falsifiable to unfalsifiable. Numerous examples of potential (indirect) ways to falsify common descent have been proposed by its proponents. J.B.S. Haldane, when asked what hypothetical evidence could disprove evolution, replied "fossil rabbits in the Precambrian era". Richard Dawkinsadds that any other modern animals, such as a hippo, would suffice. Karl Popper at first spoke against the testability of natural selection  but later recanted, "I have changed my mind about the testability and logical status of the theory of natural selection, and I am glad to have the opportunity to make a recantation." Theories of history or politics that allegedly predict future events have a logical form that renders them neither falsifiable nor verifiable. They claim that for every historically significant event, there exists an historical or economic law that determines the way in which events proceeded. Failure to identify the law does not mean that it does not exist, yet an event that satisfies the law does not prove the general case. Evaluation of such claims is at best difficult. On this basis, Popper "fundamentally criticized historicism in the sense of any preordained prediction of history", and argued that neither Marxism nor psychoanalysis was science, although both made such claims. Again, this does not mean that any of these types of theories is necessarily incorrect. Popper considered falsifiability a test of whether theories are scientific, not of whether propositions that they contain or support are true. ^ Popper, K. R. (1994). "Zwei Bedeutungen von Falsifizierbarkeit[Two meanings of falsifiability]". In Seiffert, H.; Radnitzky, G..Handlexikon der Wissenschaftstheorie. München: Deutscher Taschenbuch Verlag. pp. 82–85. ISBN 3-423-04586-8. ^ McLean v. Arkansas Board of Education, Decision January 5, 1982. ^ Martin Gardner (2001), "A Skeptical Look at Karl Popper,"Skeptical Inquirer, 25(4): 13-14, 72. ^ Dyson, Freeman J. (1999). The Sun, The Genome, & The Internet. NYPL/Oxford. p. 16. ISBN 0-19-512942-3. ^ Miller, David (2000). "Sokal and Bricmont: Back to the Frying Pan". Pli 9: 156–73., also chapter 6 of Miller, David (2006).Out of Error. Ashgate. ^ :"For Marxism, Popper believed, had been initially scientific, in that Marx had postulated a theory which was genuinely predictive. However, when these predictions were not in fact borne out, the theory was saved from falsification by the addition of ad hoc hypotheses which made it compatible with the facts. By this means, Popper asserted, a theory which was initially genuinely scientific degenerated into pseudo-scientific dogma. "Karl Popper at the Stanford Encyclopedia of Philosophy. ^ Ridley, M (2003). Evolution, Third Edition. Blackwell Publishing Limited. ISBN 1-4051-0345-0. ^ Wallis, C (2005-08-07). "The Evolution Wars". Time Magazine. p. 32. Retrieved 2007-03-24. ^ Dawkins, Richard (1995). River Out of Eden. Basic Books.ISBN 0-465-06990-8. ^ Dawkins, Richard (1986). The Blind Watchmaker. W. W. Norton & Company, Inc.. ISBN 0-393-31570-3. ^ Lannes, Sophie; Alain, Boyer (1982-02-26). "Les chemins de la verite: L'Express va plus loin avec Karl Popper". L'Express. ; online German translation "Die Wege der Wahrheit. Zum Tode von Karl Popper". Aufklärung und Kritik: p. 38. 2/1994. ^ Popper, K (1985). Unended Quest: An Intellectual Autobiography. Open Court. ISBN 0-08-758343-7. ^ Popper, K (1978). "Natural selection and the emergence of mind". Dialectica (32): 339–355. ^ Calaprice, Alice (2005). The New Quotable Einstein. USA: Princeton University Press and Hebrew University of Jerusalem. p. 291. ISBN 0-691-12074-9.Calaprice denotes this not as an exact quotation, but as a paraphrase of a translation of A. Einstein's "Induction and Deduction". Collected Papers of Albert Einstein Vol. 7, Document 28. The Berlin Years: Writings, 1918–1921. A. Einstein; M. Janssen, R. Schulmann, et al., eds. ^ Wynn, Charles M.; Wiggins, Arthur W.; Harris, Sidney (1997).The Five Biggest Ideas in Science. John Wiley and Sons. p. 107. ISBN 0-471-13812-6. Angeles, Peter A. (1992), Harper Collins Dictionary of Philosophy, 2nd edition, Harper Perennial, New York, NY. ISBN 0-06-461026-8. Feyerabend, Paul K., Against Method: Outline of an Anarchistic Theory of Knowledge, Humanities Press, London, UK, 1975. Reprinted, Verso, London, UK, 1978. Kuhn, Thomas S., The Structure of Scientific Revolutions, University of Chicago Press, Chicago, IL, 1962. 2nd edition 1970. 3rd edition 1996. Peirce, C.S., "Lectures on Pragmatism", Cambridge, MA, March 26 – May 17, 1903. Reprinted in part, Collected Papers, CP 5.14–212. Published in full with editor's introduction and commentary, Patricia Ann Turisi (ed. ), Pragmatism as a Principle and Method of Right Thinking: The 1903 Harvard "Lectures on Pragmatism", State University of New York Press, Albany, NY, 1997. Reprinted, pp. 133–241, Peirce Edition Project (eds. ), The Essential Peirce, Selected Philosophical Writings, Volume 2 (1893–1913), Indiana University Press, Bloomington, IN, 1998. Popper, Karl, The Logic of Scientific Discovery, Basic Books, New York, NY, 1959. Popper, Karl, Conjectures and Refutations, Routledge, London, 1963. Sokal, Alan, and Bricmont, Jean, Fashionable Nonsense, Picador, New York, NY, 1998. Theobald, D.L. (2006). 29+ Evidences for Macroevolution: The Scientific Case for Common Descent. The Talk.Origins Archive. Version 2.87. Wood, Ledger (1962), "Solipsism", p. 295 in Runes (ed. ), Dictionary of Philosophy, Littlefield, Adams, and Company, Totowa, NJ. New management - speak: Julia's shirpa! A Scientific Hypothesis Must Be "Testable".